How do I install the Phone System mobile app? 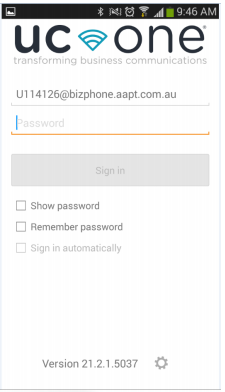 The Phone System Mobile App is the Broadsoft UC One Communicator Mobile Softphone Application that is available on the user’s Mobile Phone which allows them to make and receive calls, and manage their telephony features. This mobile softphone application is supported on different Operating systems, such as Google Android and Apple IOS. 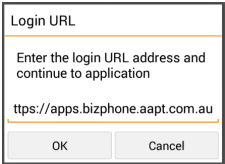 The user needs to add the https://apps.bizphone.aapt.com.au as the Login URL the first time they use the Mobile App.